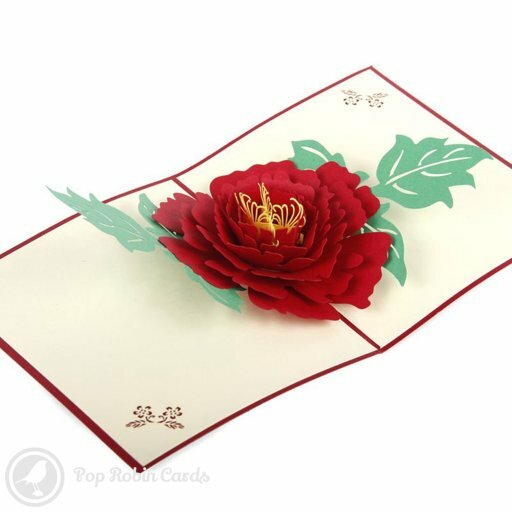 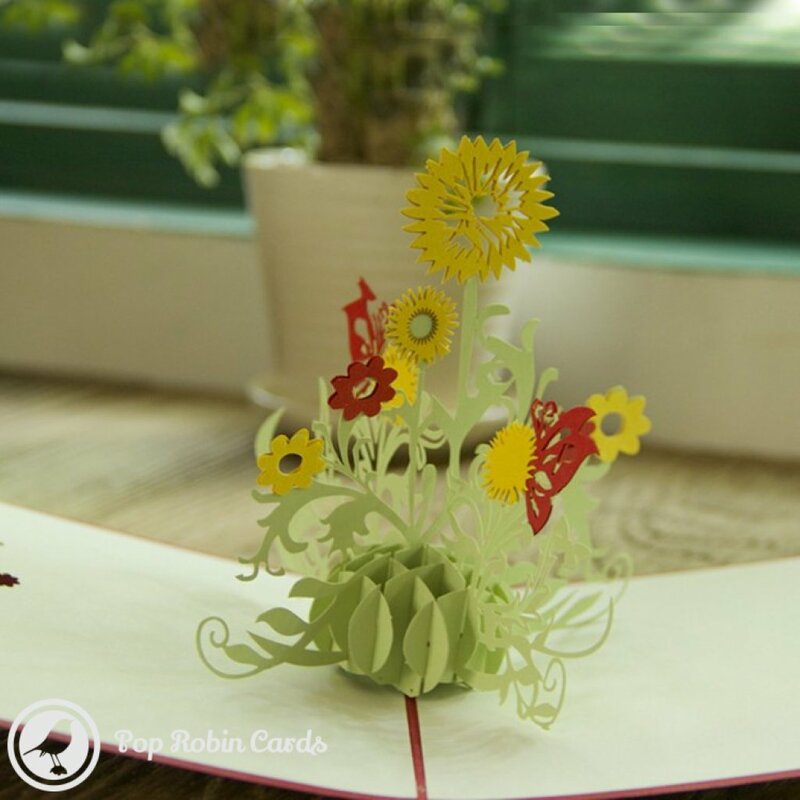 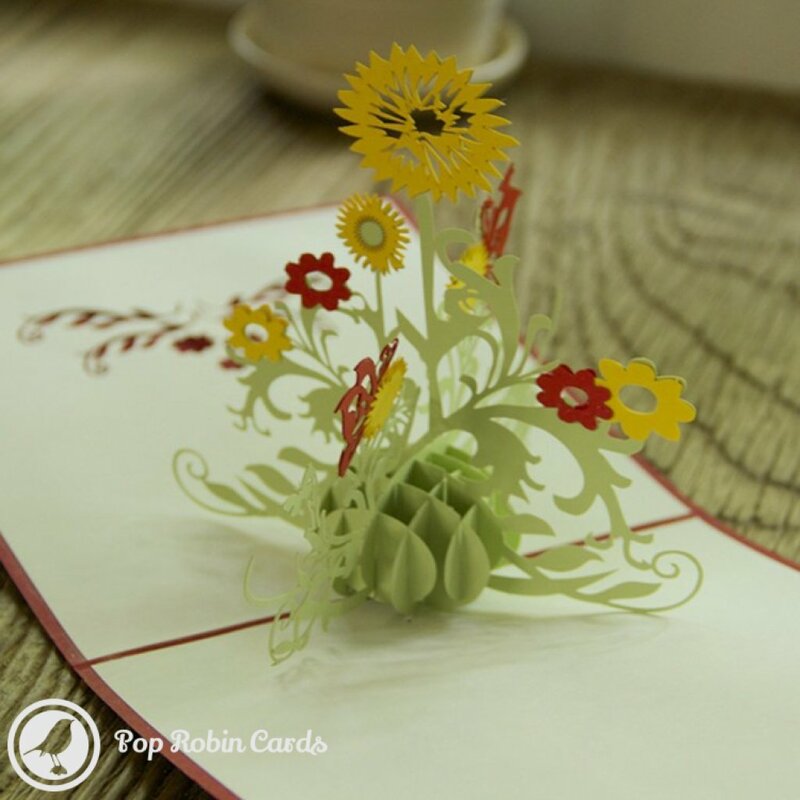 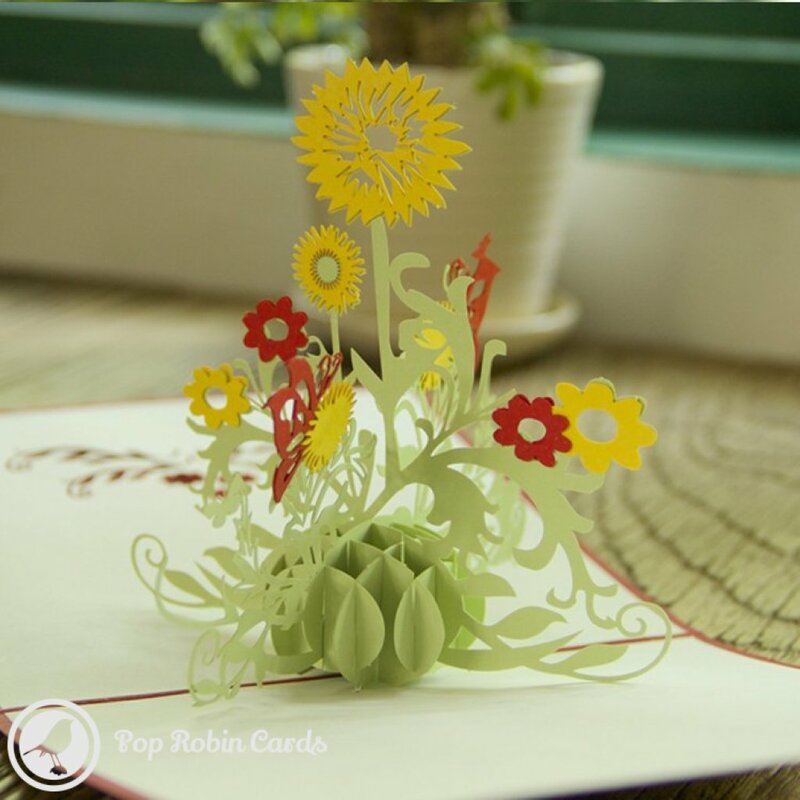 This beautiful card opens to reveal a tasteful 3D pop-up design showing a tall sunflower with green leaves and other flowers around it. 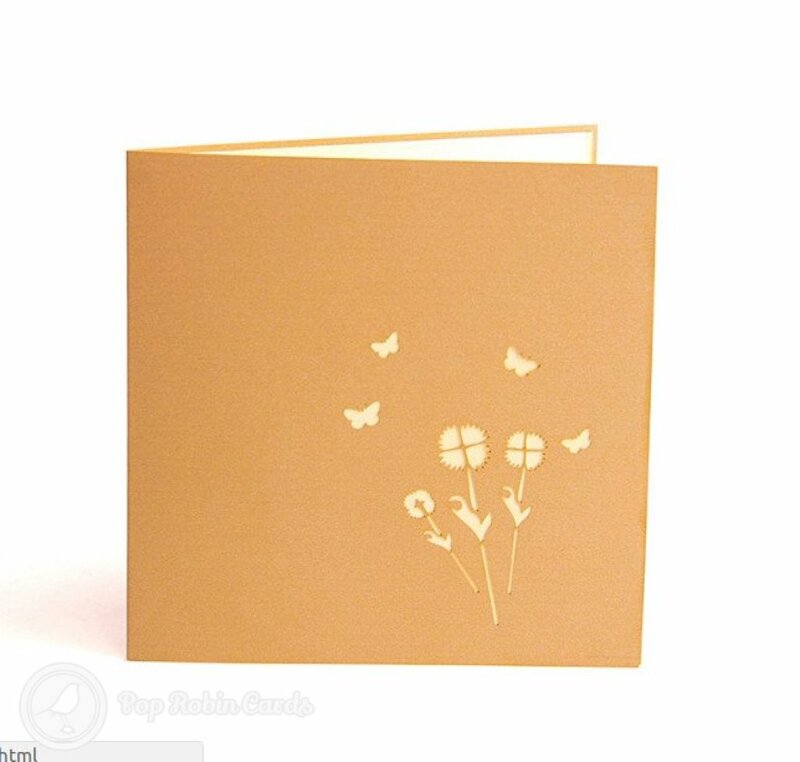 The cover has a stencil design showing sunflowers and butterflies. 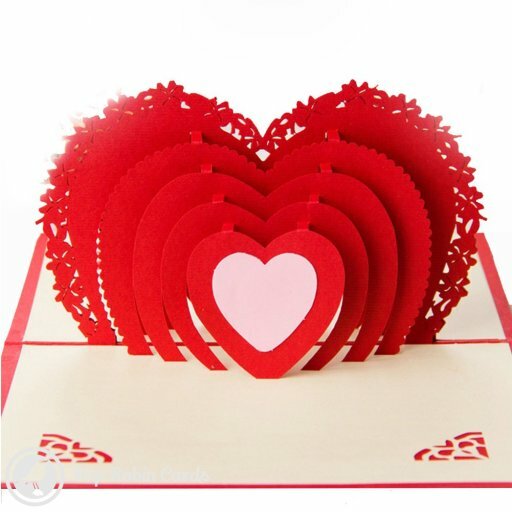 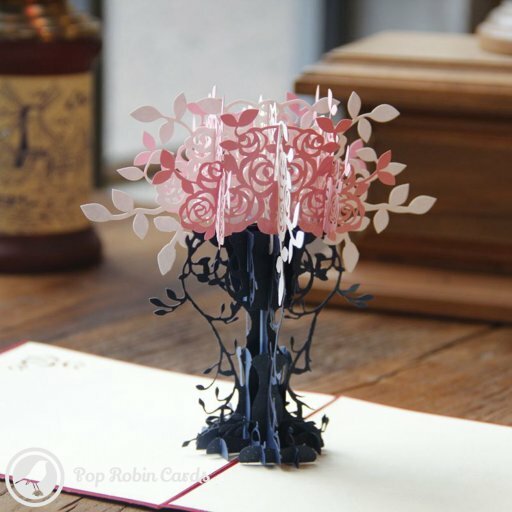 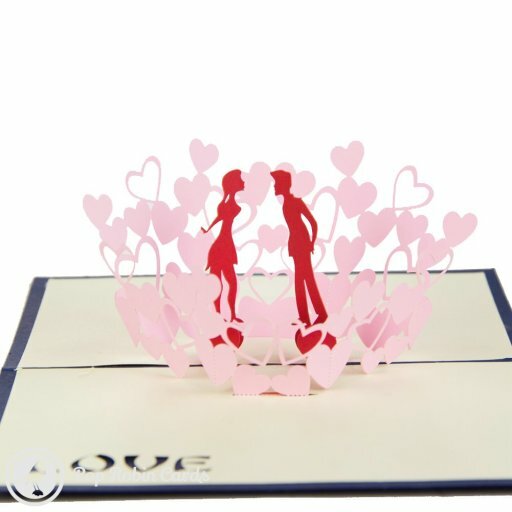 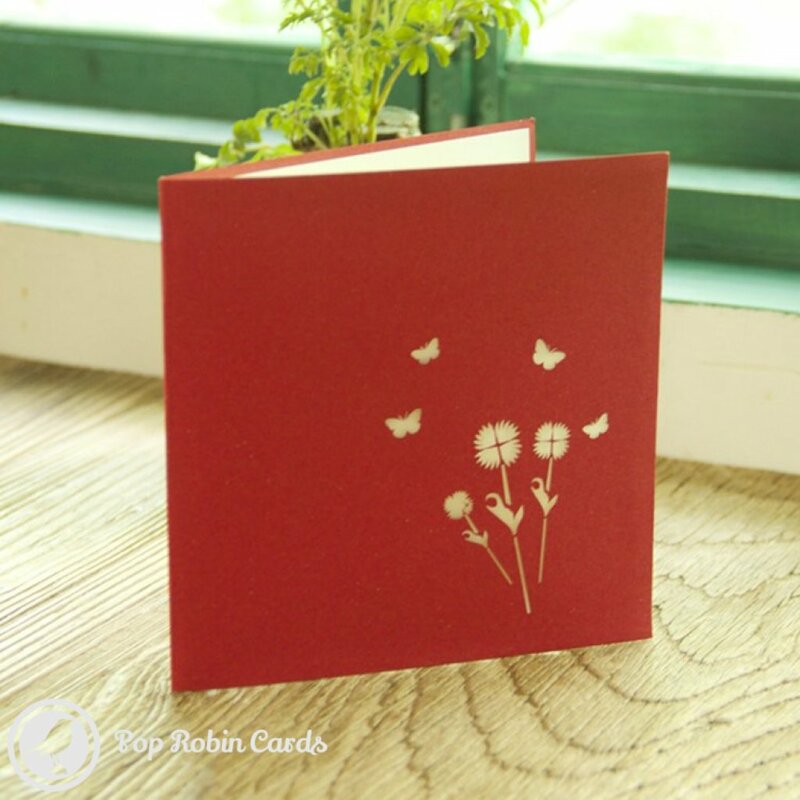 The card is sure to delight anyone who loves flowers and nature.